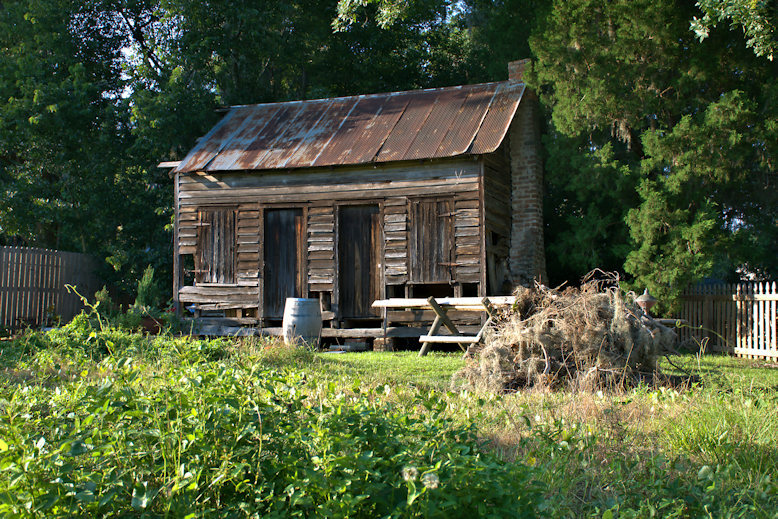 I was recently contacted by some friends in McIntosh County about the opportunity to photograph a slave cabin on their property. Of course, this immediately piqued my interest and when I learned it was of wooden construction, I was even more intrigued. 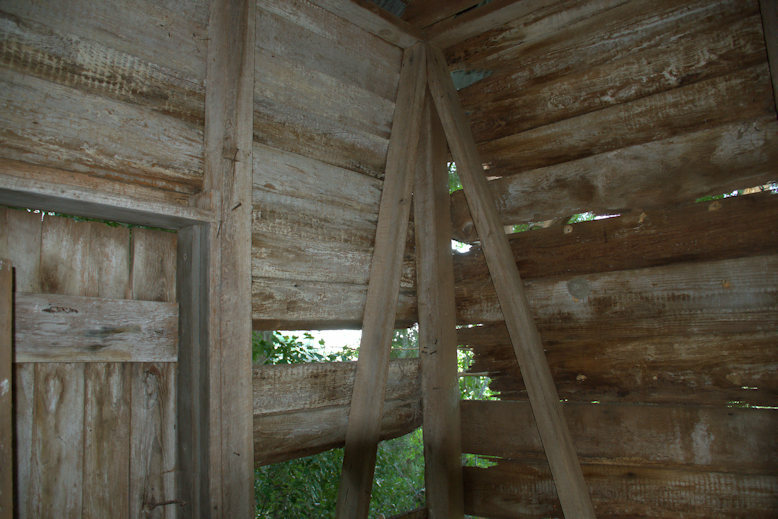 Most slave dwellings on the coast are of tabby construction and nearly all are documented, so to have the opportunity to see an undocumented wooden example was extraordinary. The owners have shared its history, which I will update soon. The property is not publicly accessible. 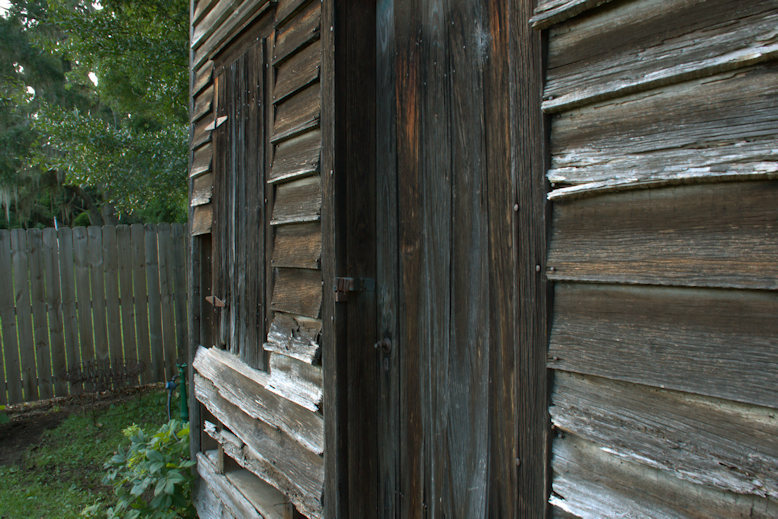 The structure has been preserved by a couple families for at least 150 years and likely housed black domestics well into the late-19th/early-20th centuries. It’s presently in vulnerable condition, but the owners have expressed an interest in having it properly restored to historical specifications. Since stories of slave cabins are nearly as abundant as those relating “Sherman’s troops slept in Granddaddy’s barn” and “George Washington slept here”, it’s important to “read” the structure to validate its age and history. 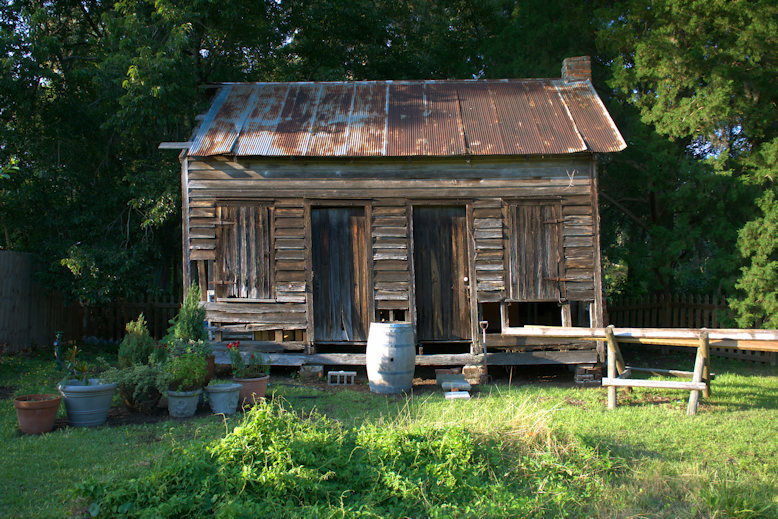 There were myriad variations as to style in slave dwellings, so that alone can’t be used to confirm such a structure’s use. Most were very simple single- or double-pen cabins. Some were saddlebags, with a chimney in the middle, while others had the chimney located on one side (as in this example). Nails are a good way to make general assumptions as to age, and this one features Type B cut nails, which were in common use between the 1810s and 1900. The lack of glass windows is also a good indicator, though not definitive. Thank you! This is interesting and it is important I think to not forget how people lived so long ago. It’s humbling to think about the persons or families that may have lived in this cabin. It looks as though two people or families lived in this small cabin. I hope to learn more about it. Special photographs of a lonely structure. It is also ‘haunted’….thank you for such a well written description too.